Great. But what exactly is the Coalition doing about them? On the evidence to date, not a whole lot, apart from blaming renewables for soaring wholesale electricity costs and promoting something called “clean coal,” despite all the evidence pointing to the fact that coal generation is not very clean, and not cheap. They are chasing the wrong target. Australia has experienced some extraordinarily high wholesale electricity prices this summer, and most of these price surges have come in states with little large-scale wind or solar. It is the activities of the fossil fuel generators that are to blame. This is about competition, or the lack of it, and the fossil fuel generators have been going to extraordinary lengths to get rid of competition. The Australian Energy Regulator, or AER, has been investigating more than half a dozen “high priced” events, as it is required to do when prices jump above $5,000/MWh. Some of the reports it has already completed make astonishing reading. Take the events of last 18 November in New South Wales, when the spot price of electricity jumped to more than $11,700/MWh in the mid afternoon, and bids of more than $13,700 were recorded over seven different trading intervals during the course of the afternoon. These are the sort of levels that have caused conservatives in politics and many in the media to hyperventilate about the level of renewable energy in South Australia, and the proposed state-based renewable energy targets in Victoria, Queensland and even the Northern Territory. But here’s the irony. So far this year, as the table shows, high-priced events are forty (yes, forty) times more common in Queensland than in renewables-strong South Australia. Did we hear a peep of protest from the Coalition about this? No. 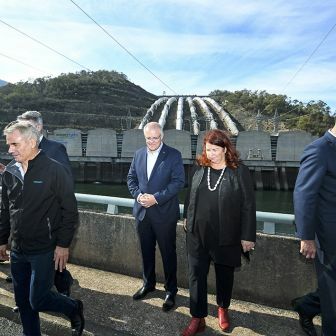 The importance of the November pricing event in New South Wales is that – like so many other similar events – it shouldn’t have happened; but it did, because two players in the market, Origin Energy and Snowy Hydro, without breaking the rules, were able to game the market and eradicate competition. This is how they did it. According to the AER, a network constraint was imposed on the border between New South Wales and Victoria. These constraints are imposed when there is a risk of a network overload, and the way they work means that the generators in NSW act as sort of “gatekeepers.” If they increase generation, then it forces the Victorian generators out of the market, reducing competition. This is exactly what Origin and Snowy Hydro did. According to the AER report, they bid 3,000MW of capacity to the price floor, flooding the market. That forced the Victorian generators, and most competition, out of the NSW market. It also put some caps on the output of some wind farms. At the same time, according to the AER, Origin and Snowy “rebid the ramp rates” of their generators down to the minimum allowable by the rules. That ensured that the Victorian generators were kept out of the markets for as long as possible. And what happened in the interim? Well, the NSW generators had a party. The lack of competition meant they could force prices up to their maximum level over seven consecutive bidding periods. “The price exceeded $13,600/MWh for seven dispatch intervals from 2.40 pm to 3.30 pm, inclusive,” the AER notes. This was not an isolated incident. An unplanned outage on the interconnector linking Victoria to South Australia on 1 December created a similar constraint on that link. This was a few hours after a network fault in Victoria caused a widespread blackout in South Australia, leading the government and many in the media to blame renewable energy once again. According to the AER, Origin Energy unexpectedly fired up its Mortlake gas power generator at 10am, when the link was still under constraint, forcing imports from Victoria out of the market and allowing the South Australian generators to have another pricing party, unencumbered by competition from interstate. According to the AER, Origin Energy’s actions helped force the market price up to the cap, and the price for the thirty-minute interval to $9175/MWh. The party didn’t last long, though. The Australian Energy Market Operator instructed Origin to switch Mortlake off, because it was causing grid stability issues. Prices then dropped sharply. (You can read more about that in the AER’s report.) 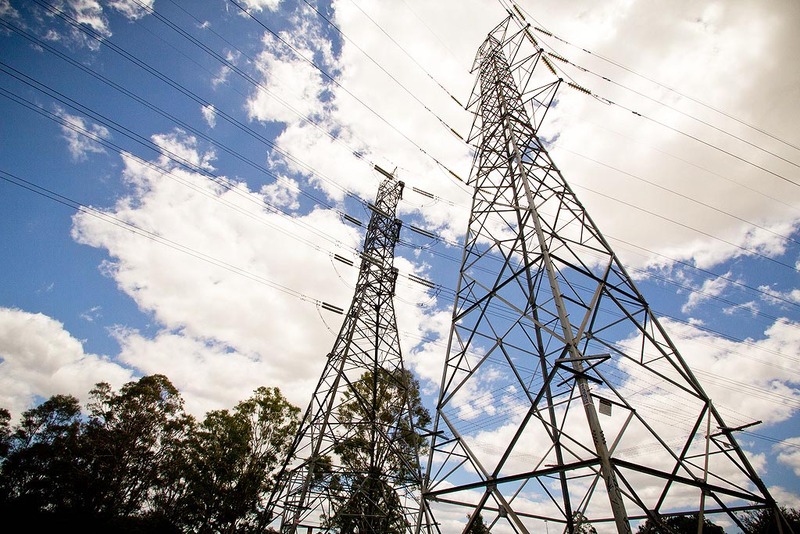 This lack of competition was the very same factor that drove prices sky-high in South Australia in July, when the interconnector was restricted for planned upgrades. 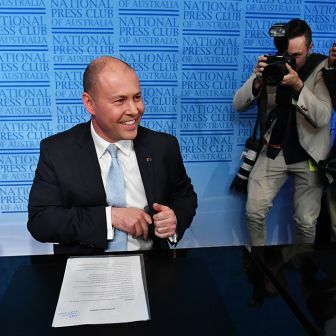 And it is this similar lack of competition that has underpinned the extraordinary price rises – higher and longer-lasting than in South Australia – in Queensland these past few months. See that table above again, absorb the fact that prices in Queensland this year have been as high as they were in South Australia last July when the link to Victoria was being upgraded, and wonder about the absence of conservative outrage. The AER is currently investigating around half a dozen high-priced events. Even though the average of late afternoon spot prices has been more than $1000/MWh in Queensland, a price event is not investigated by the regulator until it gets above $5000/MWh. The market players know this and bid accordingly. But the data goes to a fundamental point in the debate about electricity prices. This has nothing – nothing – to do with renewable energy, its costs or its variability. 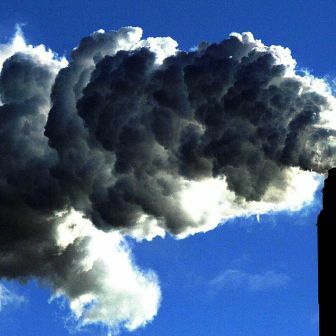 It is solely about the pricing power of the fossil fuel generators, most of them owned by the retailers who insist they are acting at all times in the best interests of their consumers. South Australia and Queensland have typically been the markets with the least amount of competition. 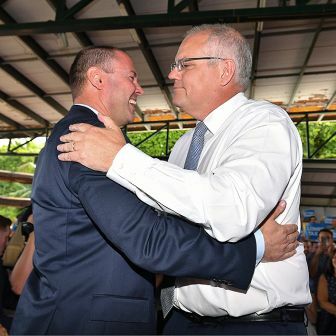 But the proliferation of wind energy in South Australia has changed that, and the fossil fuel generators have only been able to party – like they used to a decade ago, when such high-priced events were nearly a daily occurrence – when there are network problems. Queensland, though, has little large-scale renewable energy capacity, although the construction of half a dozen large-scale solar plants in the next few months may change the market dynamics this year. Maybe that is why the government-owned generators have been so keen to profit while they can. This article first appeared in RenewEconomy. Clare and beyond. 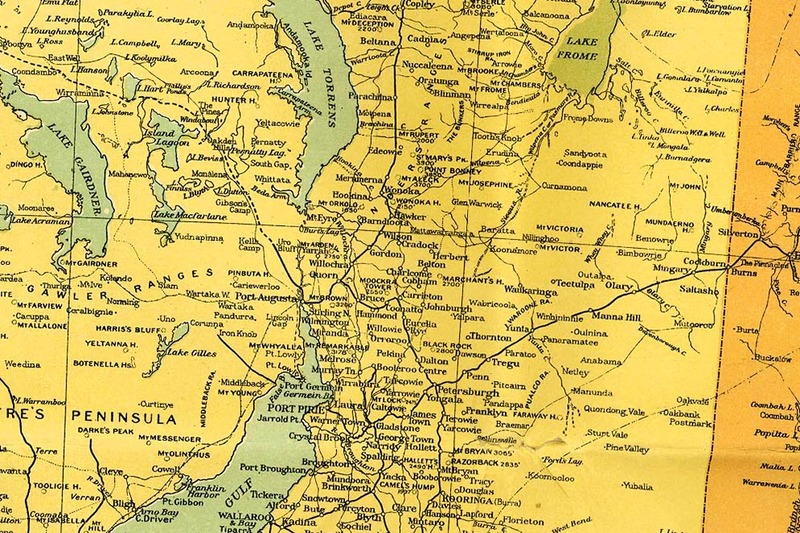 From a map of Australia accompanying the Official Year Book of the Commonwealth of Australia, McCarron, Bird and Co., 1916.